Are You Afraid of the Digital Taleban? A Medal of Honor for Imperialism: But don’t look at this image! A digital transfer of Taleban contagion will begin downloading if you do. In the latest in militainment news, Electronic Arts has bowed to pressure from military officials in the U.S. and UK?not that it wasn?t already predisposed to their sentiments?and to the overreaching complaints of family members of those who died killing Afghans, and removed mention of the Taleban from the upcoming release of ?Medal of Honor.? Players can now play as part of ?Opposing Force? rather than ?Taliban.? Had EA not made the change, the game faced outright banning: British Secretary of State for Defence Liam Fox called for retail stores to ban the game, and it was to be banned on U.S. bases, even though U.S. military personnel participated as consultants and testers to make it ?more respectful? of their side, and of course, ?accurate.? The only accuracy achieved is that, as in our mainstream media, the other is suppressed, and colonial disrespect is officially permitted and encouraged. At Gamasutra, Ian Bogost takes us through a recent flap over Electronic Arts’ forthcoming Medal of Honor game, set in modern Afghanistan. 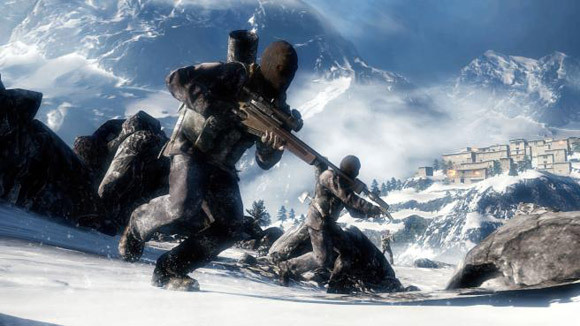 Though similar titles tend to avoid geopolitical specifics, here gamers were promised the option of siding with Taliban militants against U.S. soldiers. Critics said this was offensive and EA ultimately announced it would “remove” the Taliban. Was free speech–and an intriguing topical insight akin to Embedded with the Taliban–left by the wayside? Will France Sacrifice Online Freedom for the Sake of Security? On September 8, the French Senate voted for a bill, called Loppsi 2, that seeks to create a dangerous online filtering system that could jeopardize the work of journalists and bloggers, as well as online freedom of speech for French citizens. In the past few days, racism and Nazism have become popular subjects on the Bulgarian web. The actions of the French President Nicolas Sarkozy against the Roma people in France and their deportation to Bulgaria and Romania, were met with two opposing views in the Bulgarian society. On one side there were those who defended Sarkozy, and then there were those who believed the Roma people’s basic rights as human beings had been violated.